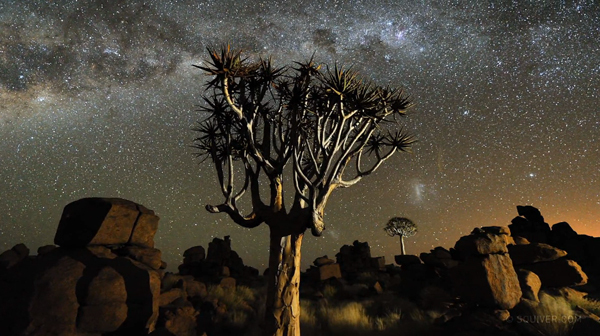 La démocratisation des timelapses permet de nous faire découvrir de multiples ambiances pour des destinations tant urbaines et connues qu’insolites et désertiques. 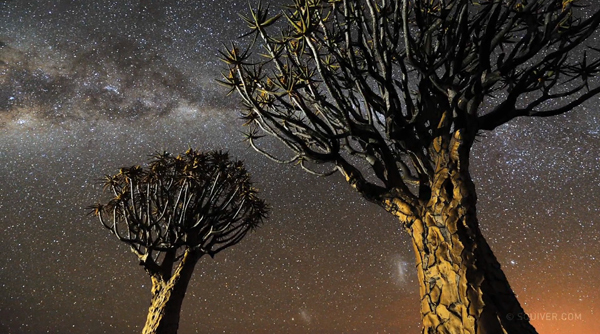 Premier prix 2012 du Travel Photographer Of The Year Awards, ce court timelapse signé Marsel van Oosten devrait forcément en inspirer plus d’un pour un futur voyage en Namibie. 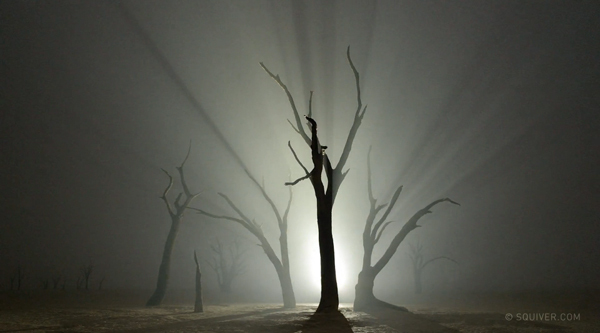 « It’s not easy to come up with something new when you visit the same place every year for more than a decade. 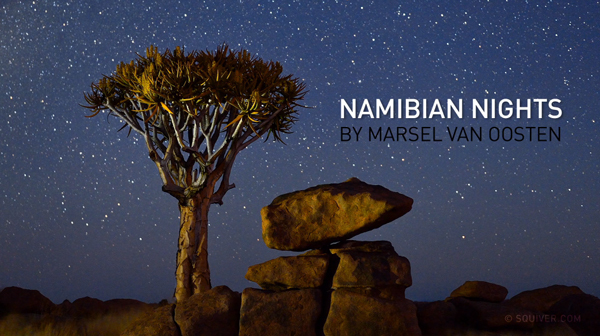 Over the years Marsel has created the most extensive and most popular night photography portfolio of Namibia on this planet, and two years ago he decided it was time to take it to the next level. 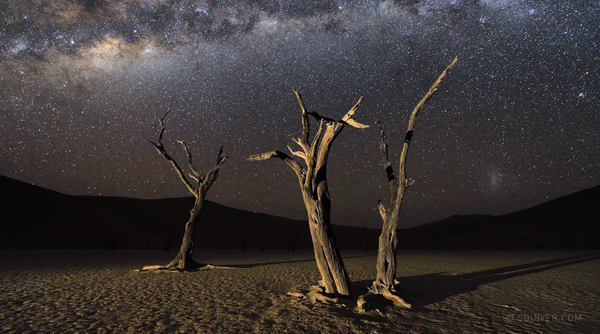 The idea was to create a night photography timelapse video featuring his most popular subjects in this amazing country: the fairytale-like quivertrees and the eery, dead camelthorn trees in Deadvlei – something that had never been done before. 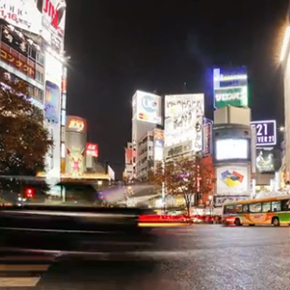 But instead of going for static scenes, Marsel decided to add movement to the scenes by using a dolly system.